Two seasons ago magazines and fashion outlets started stating that “puffer jackets” were on trend for the fall/winter season. I was really confused on how a winter staple could be a trend. 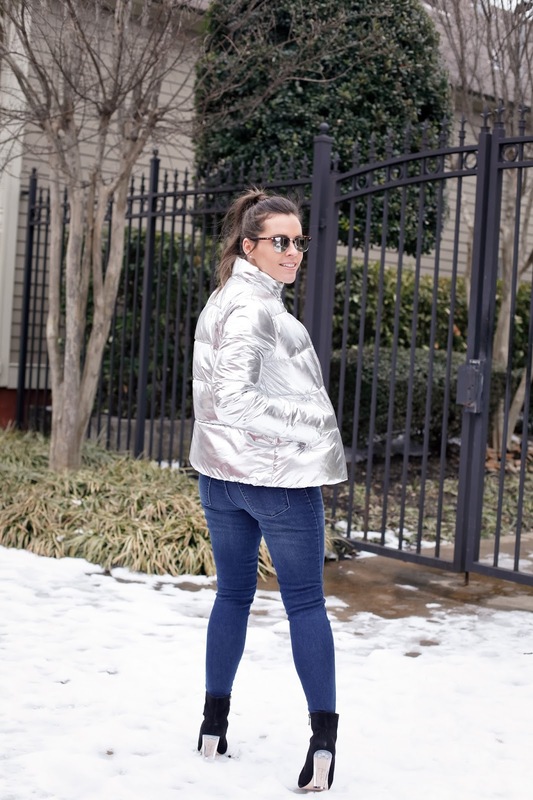 A puffer jacket is a practical winter coat and if you live in a climate that gets below 32 degrees you need to own a puffer jacket. Now that this “trend” is on its second season I am starting to understand what they meant. 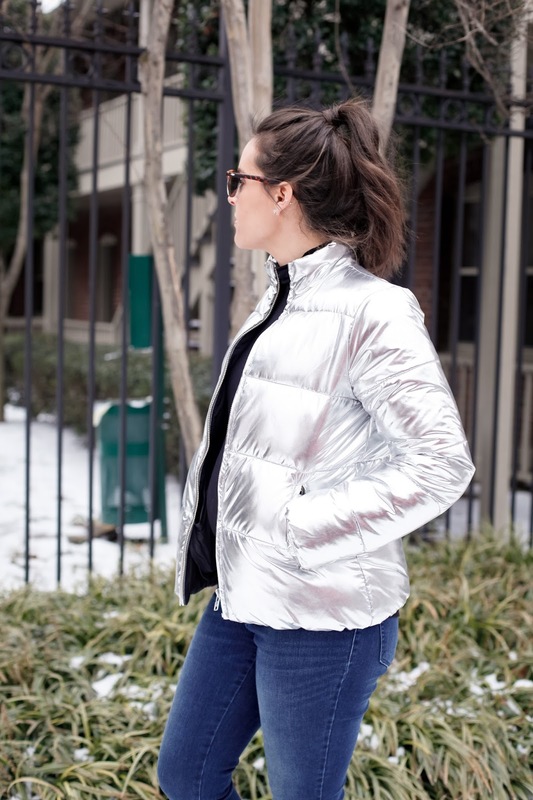 Today’s puffer jacket isn’t just your normal puffy coat to keep you warm. These coats now come in metallics, velvet and even faux leather. You can also find these jackets from $30 up to $1000 and more! A couple things I learned from this outfit. 1. Black clothing disguises your bump. 2. 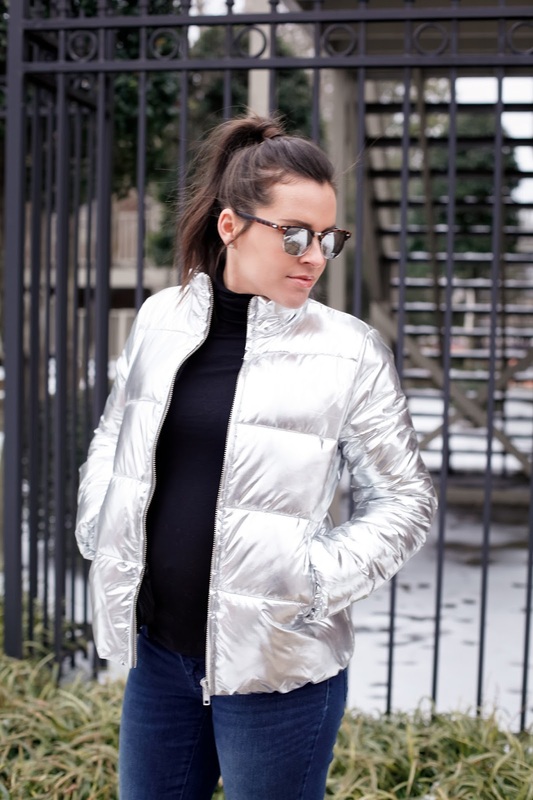 Puffer coats can zip over your bump. Boots with a heel are easier to walk in the snow than you would think. The heel digs into the snow giving you some stability! First, I need to tell you I have found an amazing look for less with this jacket. My jacket is from Revolve and is by the brand Lovers + Friends. 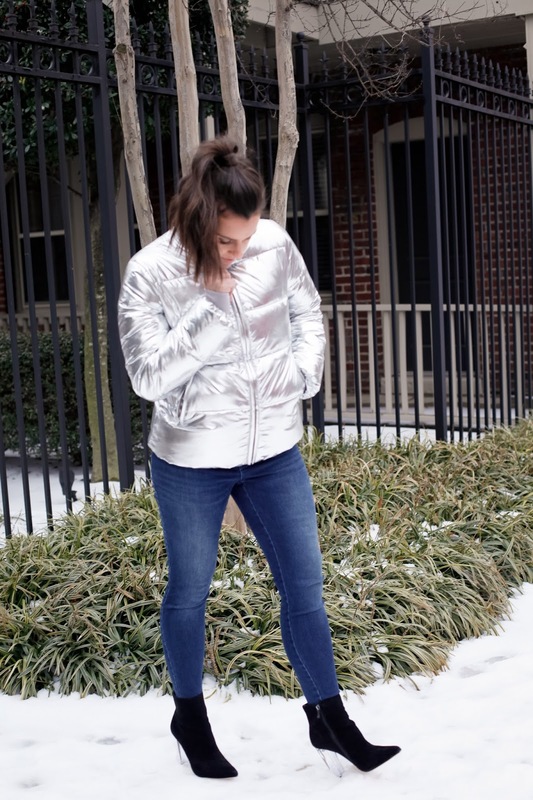 There is a silver (and gold) metallic puffer on sale at the Gap right now and one at Target that’s under $50! Anyways, I’m so happy I have this coat, when it is freezing cold sometimes I can get in a rut when getting dressed becuase I only want to be warm. This coat reminds me to pull myself together and that I can be warm and still stylish. 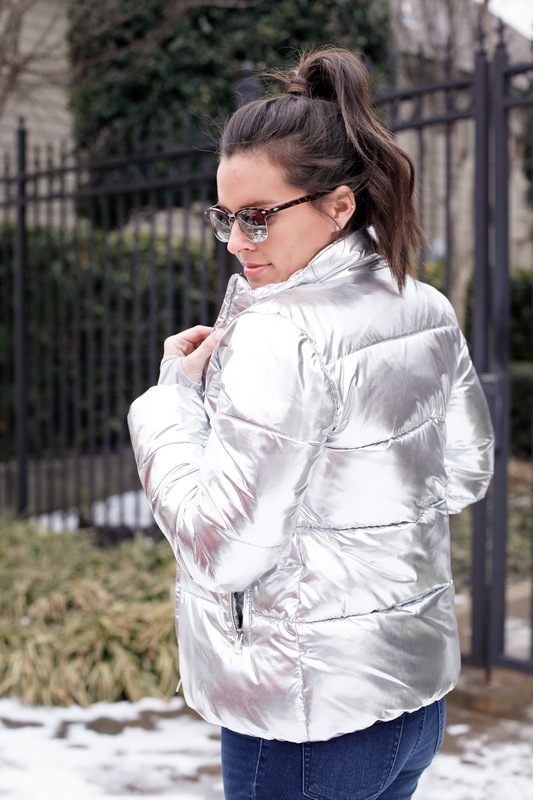 Live votre rêve!Shop by top puffer coats below.